A great addition to the Breatheflex range. 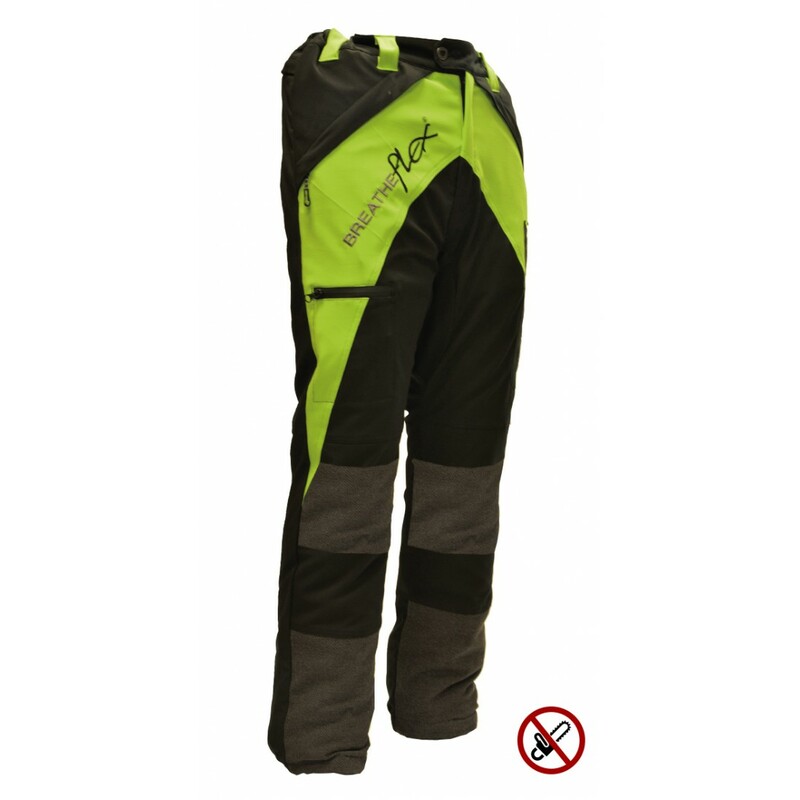 The non-protective trousers are high quality and suitable for climbers without the need for chainsaw protection. Made from breathable Climasphere fabric the trousers are both comfortable and functional, along with extra abrasion resistance on both knees and the lower legs. For extra functionality the trousers have cargo pockets with double fold over flaps and a phone pocket with zip fastening. Durable tool carrying loops are also on hand for added attachments and tools. Black and lime colour way with the BreatheFlex logo on the right upper leg.